The Cotswolds is one of the UK’s most treasured areas of natural outstanding beauty. From the iconic Cotswolds stone cottages to medieval churches, quaint picture-postcard villages and breathtaking, natural scenery– the Cotswolds offers a taste of the real England, an area in which it feels time has stood still for a few hundred years. See the best spots on one of our Cotswold Tours. Cotswolds Adventures specialise in Tailor-Made Private Cotswold Tours whereby a group of up to 8 customers can enjoy their places of interest in the Cotswolds, at their own pace, in the luxury of a chauffeur-driven vehicle with a knowledgeable guide. 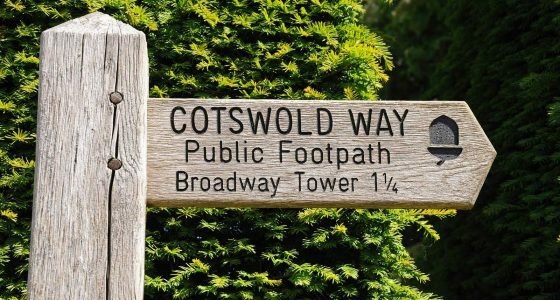 You are free to follow one of our suggested routes or we can create your own tailor-made Cotswolds Adventure. Anything is possible, just ask! Our Cotswold Tours can be taken individually or booked as a package include accommodation, transfers etc. We also organise cycling and walking holidays which include everything you need to enjoy an outdoor break in the area with the minimum of hassle. We book your hotels, provide quality route notes and maps and arrange luggage transfers between lodgings, meaning you can just turn up and get on with enjoying the beauty of the area. 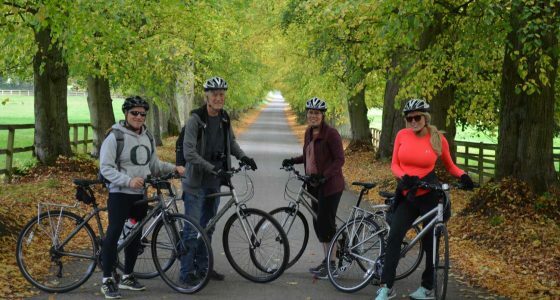 In the warmer months we also run small group guided cycling tours which get you off the beaten track and follow a circular route through some of the best Cotswolds villages and countryside. A great way to experience the area! 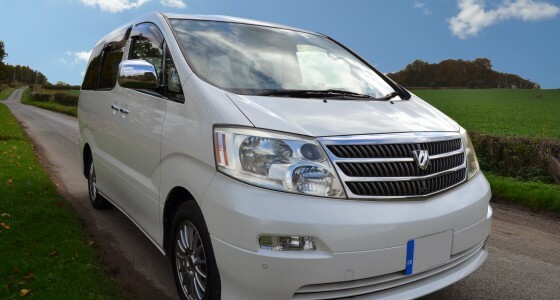 In addition to Cotswold Tours we can also arrange pickups from airports, train stations and hotels both in and out of the Cotswolds region with our tours making perfect day trips from London. Why choose Our Cotswold Tours? Come and experience the Cotswolds in a unique way and make some memories that you will never forget. Our private tours and short breaks allow you to really get an idea of what the Cotswolds are all about and experience the nature and beauty first hand. By taking one of our private tours you are in total control of where you go and what you see. You can decide the pace of the tour, where we go, what you see, where you stop and for how long. We can help you create your own dream day or you can choose from one of our suggested itineraries. Take a walking or cycling holiday and experience the beauty of the area up close and personal. We organise accommodation, routes notes, maps and luggage transfers between lodgings. Take a private Cotswold tour package and we can organise quality accommodation, transfers into and out of the area and also optional activities such as horse riding, cycling or even a hot air balloon ride that you may wish to participate in during your stay. 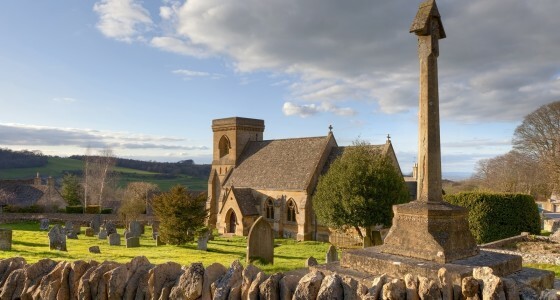 As our Cotswolds tours are all done in small, intimate groups we are lucky as we can take you to see some of the smaller town and villages that the bigger tour buses are not allowed to visit. These are often some of the most beautiful spots in the Cotswolds! Chauffeur driven guided tour for up to 8 guests. See the Cotswolds in luxury! Pick ups available in/outside the Cotswolds. Avoid the packed coaches and large group tours. Take a group or private cycling tour on various routes around the beautiful Cotswolds. Group or private one day cycle tours. Choose from a variety of different routes. Accompanied by an experienced tour guide. Definitely the best way to see the Cotswolds! Take a walking or cycling holiday in the beautiful Cotswolds. Leave all the planning to us! Enjoy a short custom break in the Cotswolds area. Create your own experience. Transfers into and out of the area. 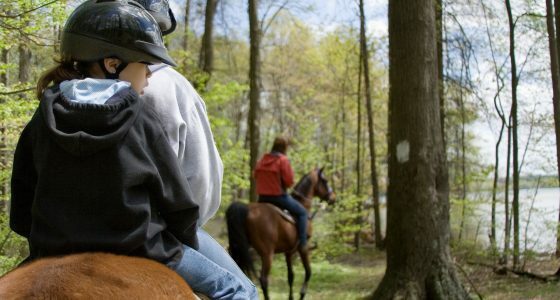 Optional activities such as horse riding, cycling, golf. Turned out it was a private tour for the two of us because no one else signed for the day. Better for us!!! Wow. Jamie met us at Moreton-in-Marsh train station at 10 am. After testing the bikes, off we went. It was really rain at the beginning and qickly our backpacks, pants and shoes got wet. However, we were going through the vast sceneries and we were fine with ther rain. We stopped at an old coutryside pub for some hot drinks and to dry up a bit. Then we stopped in a beautiful town for lunch. The biking roads have a lot of uphills when my daughter and I had to get off and push the bikes up, while the downhills allowed us to cruise down as if we were on wings. Sky turned clearer later in the afternoon, we were able to see far. Everything was like a movie picture. The timing of returning to the train station was perfectly at 4:45 pm, enough time for us to roam the town Moreton-in-Marsh a while and travel back to London.The Cotswolds is beautiful rain or shine. We would love to do it again next time when we are in England. Thank you, Jamie, for delivering such a wonderful experience. London is fun and exciting, but we wanted to see something outside of the city. So, we took a private custom chauffeur tour. The driver and guide, Jamie, picked us up from our hotel in London. This took all the pressure off us (getting out of London, lugging our bags on and off trains, beating tourist traps, etc.) as he was able to fit in all our bags ready to be dropped off at our hotel in Chipping Campden at the end of the tour. As for what to see, Jamie also helped us out with the itinerary. We visited Broadway Tower, The Slaughters (pretty cool), Bourton-on-the-Water and a picture perfect little country pub in Ebrington for a pint and a bit of traditional English food. We also dropped into Snowshill on the way into Chipping Campden and managed to catch the wonderful lavender fields in full bloom, which was a sight to behold. Score!All in all it was a great day with door to door service. Jamie was super friendly and helped us out immensely. I felt we really got to see another part of England and would recommend this tour company to anyone wanting to get out of London. We struck it lucky with the weather, with a glorious blue sky summer day with which to explore the Cotswold region by car. I was travelling with two friends and their young children and we were concerned that there wouldn’t be enough to keep the kids amused. However, the excellent locations selected by our genial guide Jamie provided ducks to play with, streams to splash in, large open fields to roll in and great great ice creams. He had absorbed our wishlist and sussed out an itinerary that would be both fulfilling but not rushed. From memory, we started in the tranquil picture postcard of Bibury (weavers’ cottages and nice riverside pub). We then drove up to Bourton-on-the-Water passing through various delightful villages on the way. Bourton, despite being quite full of tourists, still manages to remain a relaxing place to chill out by the river. Recommend lunch here. The drive then took us through the nearby Upper and Lower Slaughter, which while beautiful are worth it just for the names alone! More exploration of the countryside around the middle region of the Cotswolds rewarded us with some stunning views, not least of which was that behind the Woolpack, the pub from which Laurie Lee penned Cider with Rosie. Hiring Jamie of Cotswolds Adventures for a 1 day private guided tour of the Cotswolds was the best decision I made on my August 2014 UK vacation. He was not only professional, courteous and very knowledgable of the area, but was fun to spend the day with. Jamie was easy to work with via email from the U.S. and was able to accommodate the list of villages I wanted to see. This flexibility was very much appreciated and made my adventure truly my own and not a cookie cutter tour. I highly recommend this service! Jamie took us out for a one day “pub bike tour” in the Cotswolds. He brought bike equipment for us and planned a fun itinerary. The area is hilly so he made a few “shortcut” adjustments that kept us on quiet private roads. A highlight was the stop at the Broadway Folly as well as the Lygon Arms pub at the end of the day. Jamie was an excellent guide with a good sense of humor and it was a fun way to see the area. He never made us feel bad about walking up steep hills or shortening the circuit of the ride. He also made sure we stopped at nice restroom facilities as well as an excellent pub for lunch. The bicycle tour was laid back, as our group had some middle aged folk, but I imagine the well fit Jamie could turn in Tour de France times, if the group was up for it. For me, it was just great to get out of London and breathe. The stone buildings and green were a welcome difference from the pavement and glass of Osaka. For my friends, the comfort of communicaton with our hosts was key. I’d definitely go back…in hopes of the same sites with less precipitation. But the beers made it all aces! Was lucky enough to meet owner operator Jamie in a pub during Cotswolds Adventures ‘soft opening’ period. Anyway we (my parents and wife) took a private cycle tour and just had the best day. Jamie is a disarming Englishman with a great sense of fun and lots of interesting stories about his varied life. It felt like a ride with an old friend. We also got lucky with the weather which I must admit gave the day an extra bonus… This is an exceptionally beautiful part of the world and a day out with Jamie is a great way to experience it. The post cycle beers and banter were much appreciated too. Please watch this video provided by the Cotswolds Tourist Board to see some of the highlights of the Cotswolds.